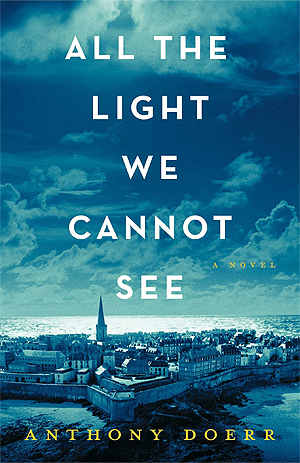 Anthony Doerr paints the picture of blind French girl and a German young man whose lives crash together while attempted to survive during World War II. The characters in this novel were so incredibly unique, however I found myself thinking the same thing about each of them… they were all strong and courageous. Marie-Laure and Werner went through tragic events, but they continued to persevere. While reading, I came across a portion of novel where Werner was expressing his thoughts of Marie-Laure’s courage. Marie Laure states, “But it is not bravery; I have no choice. I wake up and live my life. Don't you do the same?”. I believe this quote is one of the most important lines in the entire novel. We are not just strong and brave if we go through hard times, we are strong and brave if we keep living and keep pushing through those hard times. Right from the beginning, Doerr does an incredible job of making his characters authentic and relatable. Marie-Laure’s gentleness, curiosity, and kind personality make the reader instantly fall in love with her. Werner’s ambition, intelligence, and compassion for others leave the reader waiting patiently for more information about him. I especially loved the manner in which he presented the characters and their stories. Transitions between each character’s point of view and different time periods made it extremely difficult to put the book down. All in all, this book was incredible. There is not a single doubt in my mind why Anthony Doerr won a Pulitzer Prize as well as many other notable awards. The story was interesting and easily held my attention. I would highly recommend this book! It's a great review. I finished this book yesterday and I'm impressed. This book describe The Second World War in absolutely another way. In Poland we have a lot of books about war, because our country was a heart of war, but I never read such a good book like this.